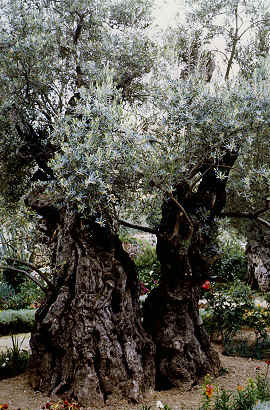 become a part of Israel ("the general assembly and church of the firstborn, which are written in heaven”), as Paul writes in Romans 11: 17 “and thou, being a wild olive tree, wast < FONT>grafted in among them, and with them < FONT>partakest of the root and fatness of the olive tree.” Galatians 3:29 " For this is the covenant that I will make with the house of Israel after those days, saith ; I will put my laws into their mind, and write them in their hearts: and I will be to them a God, and they shall be to me a people: ...""And if ye be Messiah's, then are ye Abraham's seed, and heirs according to the promise." Yahshua said in Mathew 7:13-14"Enter ye in at the strait [closely defined] gate : for wide is the gate, and broad is the way, that leadeth to destruction, and many [Not every one that saith unto me, Lord, Lord, shall enter into the kingdom of heaven ; but he that doeth the will of my Father which is in heaven.... Many will say to me in that day, Lord, Lord, have we not prophesied in thy name? and in thy name have cast out devils? and in thy name done many wonderful works? And then will I profess unto them , I never knew you: depart from me, ye that work iniquity".] there be which go in thereat: Because strait is the gate, and narrow is the way, which leadeth unto life, and few there be that find it". < Yahshua< said< “Think not that I am come to destroy the law, or the prophets: I am not come to destroy, but to fulfill. For verily I say unto you, till heaven and earth pass, one jot or one tittle shall in no wise pass from the law, till all be fulfilled. Whosoever therefore shall < FONT>break one < FONT>of these least commandments, and < shall teach men so, shall be called the < least < FONT>in the kingdom of heaven: but < FONT>whosoever shall do and teach them < FONT>, the same shall be called great in the kingdom of heaven.” < FONT color="#000000" -- Matthew 5 : 17-19.“ the scripture can not be broken” < FONT color="#000000" -- John 10:35. "The LAW of is perfect, converting the soul..." -- Psalm 19:7. "The mercy of YHWH is from everlasting to everlasting upon them that fear him, and his righteousness unto children's children; to such as keep his covenant, and to those that remember his commandments to do them." <>The question that needs to be answered, is < FONT face="Arial Narrow" why < FONT> would the Messiah so close to his death still be telling his disciples how important to him, and his FATHER ,the commandments were, and that of keeping; them, if they were being done away with in a few hours at his death , as dispensationalist's teach? Luke 23:54-56 "And that day was the preparation, and the sabbath drew on. And the women also, which came with him from Galilee, followed after, and beheld the sepulchre, and how his body was laid. And they returned, and prepared spices and ointments; and rested the sabbath day according to the commandment." The Saviour was dead; yet the Sabbath is observed. The Sabbath is here kept after Messiah's death. Nowhere in scripture is there a passage where the Messiah had ever told these people not to keep the Sabbath "according to the commandment." That's our cue, that the importance of the fourth commandment didn't change. Yahshua was the sacrificial Passover lamb that shed his blood once and for all for sin; only < FONT>did away with the sacrificial process in the Law, which had been necessary to that point in time. < FONT>Also < FONT>“Think not that I am come to destroy the law, or the prophets: I am not come to destroy, but to fulfill. For verily I say unto you, till heaven and earth pass, one jot or one tittle shall in no wise pass from the law, till all be fulfilled. Whosoever therefore shall break one of these least commandments, and < FONT> < FONT>shall teach men so, shall be called the least in the kingdom of heaven: but whosoever < FONT>shall do and teach them , the same shall be called great in the kingdom of < FONT>heaven.” < FONT>Matthew 5 : 17-19. <> Remember “to obey is better than sacrifice”.1Samuel 15:22 . In Matthew 28: 1-6 we find that < FONT>“in the end of the SABBATH before the dawn of the first day” (“yet dark” John 20:1 < FONT>) an earth quake had occurred ; the stone had been rolled away ; and Yahshua had risen .This day was given the pagan name of Easter. In Mark16:7 "A young man" [< FONT>told the women], "h< he behold, and dead; the from risen is that disciples his tell quickly “go to women told angel Matthew28:7, In Galilee”. into you before><>e goeth before you into Galilee; there shall ye see him as he said unto you”. “As they went, ... Jesus met them” and said “go tell my brethren that they <>go<> into Galilee, and there shall they see me”. No ‘sun’ day worship service here! In John 20:26 “after eight days” [not on the eighth day (‘sun’ day) as taught by many false teachers, but after; Jesus appeared to the disciples including Thomas, who are still in Jerusalem instead of Gallilee. (This is confirmed by John's previous pattern writing John 4:40 "he [Jesus] abode there two days." and in verse 43 "after two days" which would be the third day, "he departed") No ‘sun’ day worship service here! We read in Exodus 32 of Moses return from the mount with the Torah (Shavuot commemorates the anniversary of that day). He threw down the tablets of stone; did some inquiring to see what was happening and why; destroyed the golden calf. Then he said: "Who is on the Lord's side?" The Levites were commanded to seek out the traitors, and three thousand souls perished that day. In Acts 2, Peter preached to the devout Jews who were in Jerusalem for Shavuot (Pentecost) and three thousand souls were saved.